We all play a role in keeping our community safe. 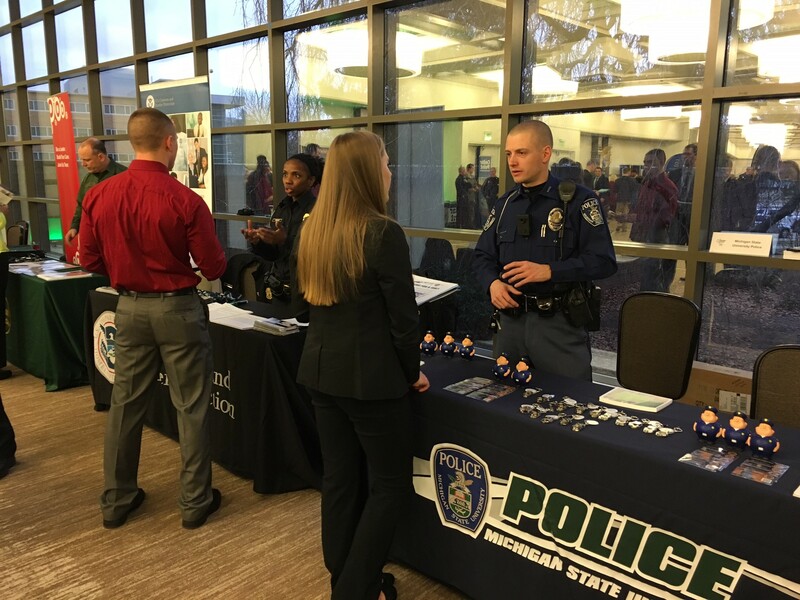 If you see something suspicious, report that crime using the contact methods on this website; or by texting MSUPD to CRIMES (274637) along with your message. You can also call our tip line at 844-99-MSUPD (844-996-7873) or follow the links on our crime map to submit a tip. Evacuation maps are posted at key locations throughout facilities on campus. If an evacuation alarm sounds or if you are ordered to evacuate an area, please keep safety in mind. Move quickly to the nearest exit and move away from the hazard or danger. In an active violence incident, this is the “Run” component in the Run-Hide-Fight paradigm and should be your first option. There are also emergency classroom guidelines posted in classrooms throughout campus that identify accountability locations, weather shelter protocols, hazardous atmosphere shelter information, and suspicious package guidelines. We ask you to familiarize yourself with exits at facilities you are frequently at. Secure-in-Place is a protective action to take when an active violence incident occurs. For an active violence incident, if you are not able to “Run” or evacuate, then “Hide” or secure-in-place. That means finding a hiding place that is secure, safe and protects you from the threat. Some examples include: bathrooms, file storage areas, or locked offices. Below are suggestions for what to do and what not to do when officers arrive on scene of an active violence incident. Use plastic sheeting, duct tape, towels, or clothes to seal windows, doors, air vents, etc. MSU building Emergency Action Plans have pre-identified Weather Shelter locations that are shaded in yellow on the building’s posted emergency maps. Become familiar with those locations and be prepared to move to shelter if a weather warning is issued. Always lock your bicycle to a bike rack using a U-Lock through the frame and tire. Faculty, staff and students are all registered to their current directory email and phone number. To update that information, or if you are not an affiliated member of the MSU Community visit the MSU Alert Portal.